UK National Permit to Fly aircraft are to be allowed to be used for remunerated commercial flight training for the first time, the UK Civil Aviation Authority has confirmed. Pilots are now allowed to use Permit to Fly General Aviation (GA) aircraft to train towards post-PPL add-on training and ratings. At this stage, the permission is limited to current PPL holders only; ab-initio training is still restricted to aircraft holding a full Certificate of Airworthiness (C of A). However, it is understood that the CAA are looking into the possibility of extending the permission to include PPL training at a later date, possibly as soon as September this year, according to industry sources. According to industry gossip, the roll-out of PPL training in permit aircraft has been delayed in part due to a pushback from certain sectors within the flight training industry, who are concerned that the use of these lower cost aircraft could compromise flying schools operating more expensive, traditional training aircraft with full Certificates of Airworthiness. The potential cost saving doesn’t apply to all types of permit aircraft however, as heritage types such as those referred to above are often as expensive to operate and maintain as standard flying school single-engine trainers. But at the lighter end of the permit aircraft spectrum there are potential savings to be made by using aircraft powered by modern, lightweight powerplants, such as those manufactured by Rotax. For example, a four-seat PA28 Warrior 161– a stalwart at flying schools across the nation – has a fuel burn of approximately 38 litres per hour, while a Pioneer 400 four-seat permit aircraft burns less than half that. Remunerated introductory flights will now also be allowed to be delivered in ‘permit-to-fly’ aircraft, the CAA confirms, although there are restrictions on aircraft type. The aircraft will either need to be ‘type approved’ or have previously held a UK Certificate of Airworthiness. 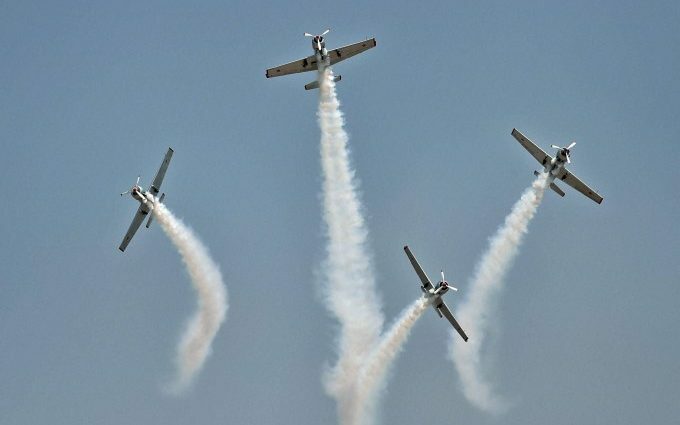 Some ex-military types, such as Chipmunks and Bulldogs, which were previously fully certified, will qualify, while other ‘warbirds’, such as Yak-52s, will have to use an alternative approval route. The alternative route available, which has a key advantage of not having to be conducted under the oversight of a training organisation, is called a Safety Standards Acknowledgement and Consent (SSAC) application and imposes a commitment on the aircraft operator to ensure that passengers are fully informed of the key risks involved with participating in this type of activity, with extra safety mitigation measures put in place to protect them and third-parties. 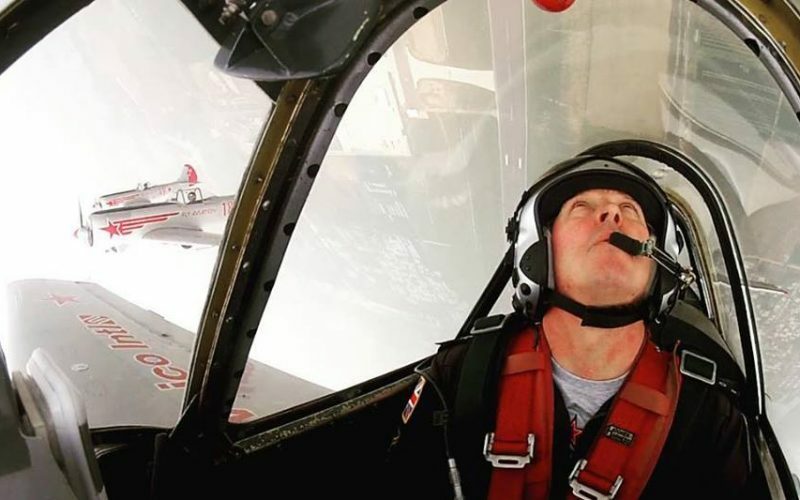 The process includes assessing the current maintenance regime for the aircraft and imposing additional checks and measures if the utilisation of the aircraft for experience flights significantly increases its annual usage, or if used for aerobatic air experience flights, taking into account any additional stress loading the aircraft may be subject to. The operator is also required to create a consent form for passengers, and undertake a risk assessment, identifying mitigation measures that can be put in place to reduce risk exposure. 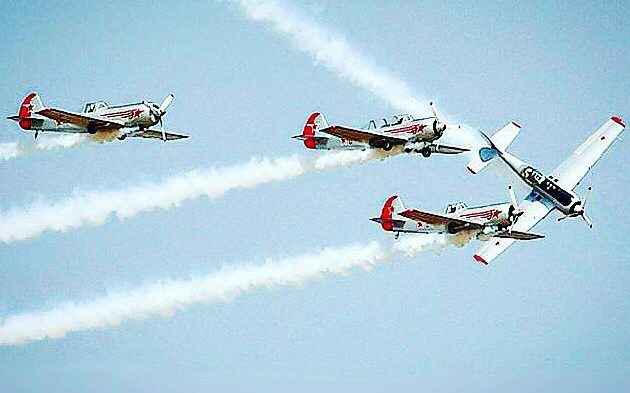 Airborne Services Ltd, operator of UK six-ship formation aerobatics team The Yakovlevs, told FTN that they have recently submitted an SSAC application in order to be permitted to deliver aerobatic flights and aerobatic formation flights for non-pilots in their two-seat Yak-52 aircraft. 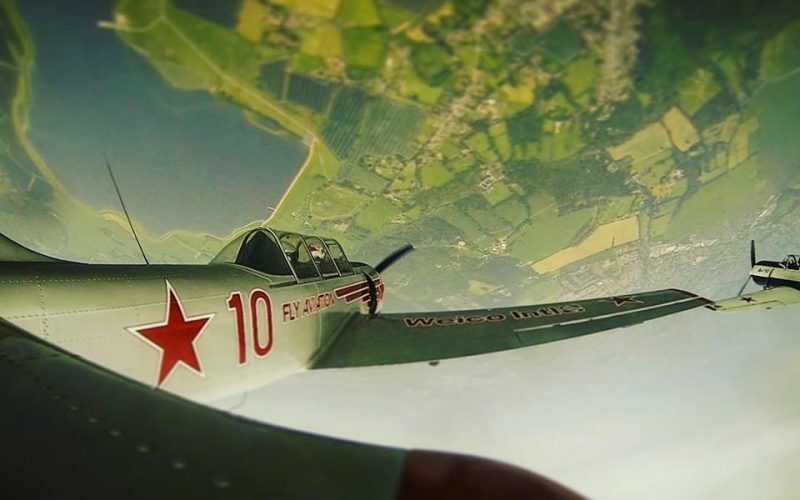 Having originally been manufactured by the Russian military and issued with a sports aviation permit, these aircraft have never held a Certificate of Airworthiness and as such are not permitted under the new directive to deliver experience flights without an SSAC approval. “Our aircraft fall between the cracks, in terms of certification. The relaxation in permit aircraft flight training rules means that we can now deliver post-PPL courses, but in order to be permitted to provide air experience flights for non-pilots we have had to create an SSAC operations manual, which we hope to have signed off by the CAA over the next few weeks. 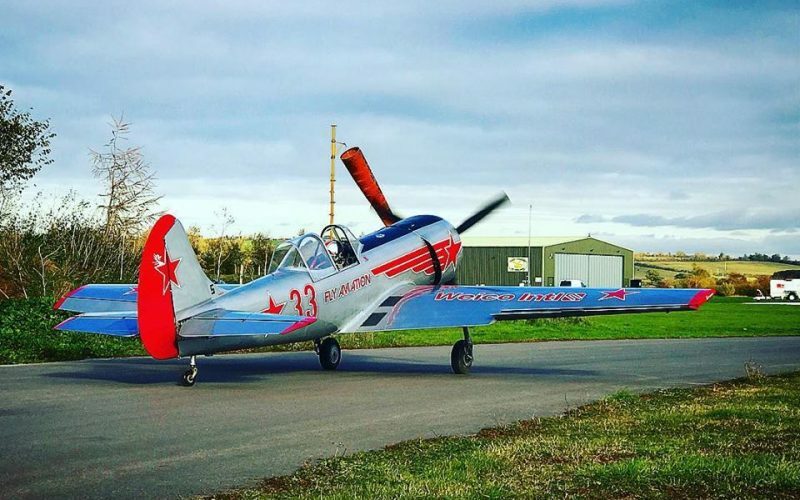 “We would also like to teach the EASA Aerobatics Rating, but are currently unable to, due to being a UK Registered Training Facility and not yet an EASA training school, which we need to be in order to teach the EASA Aerobatics Rating. We had hoped to convert to an EASA school entity earlier this year, becoming a Declared Training Organisation, but EASA appears to be consistently behind in its rulemaking tasks and the DTO concept has yet to be ratified, despite assurances that it would be rolled-out in April this year. 1) The CAA’) permits a specified aircraft to fly on specified operations. 2) The ‘specified aircraft’, is any aircraft that flies in accordance with a UK National Permit to Fly, issued in accordance with Article 40 of the ANO. c) Introductory Flights in accordance with Article 15 of the ANO. a) The pilot must already hold a pilot’s licence in the same aircraft category. b) The aircraft has a current Certificate of Validity issued by the CAA or an organisation approved in accordance with BCAR A8-25 or A8-26. c) For Introductory flights, the aircraft is either ‘Type Approved’ or a type formerly holding a UK Certificate of Airworthiness. Flight instruction, examination, self-fly hire and introductory flights on Type Approved microlights and gyroplanes are allowed under the permission contained within Official Record Series 4 No 1240. This permission does not apply to flight instruction or examination in ex-military aircraft that are operated in accordance with CAP 632.
iii. Is the spouse or child of a registered sole or joint owner. (Under ANO 2016, Permit aircraft can be used for training by those above, as this is considered to be a non-commercial operation. Commercial operations being defined in Article 7).